Weekend Previews - Join Me? In a competitive market, it's important to see inventory as soon as it hits the market. If you wait, it will be gone. Trust me, the desirable stuff disappears very quickly. What if you can't drop everything to check out new listings? That's why I do buyer previews, which include my own photos and notes (sample). This service is especially valuable to relocation buyers but you need to be my client to get that service, no exceptions. Call me for details. I've got a couple listings on my upcoming preview list. Both of these are fresh on the market, not last year's unsold inventory. They're both currently available for purchase (not under contract). 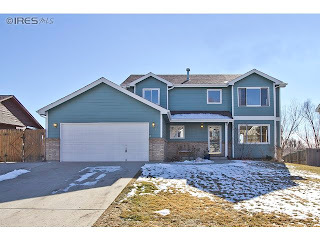 If you'd like to join me to see these properties, call me at 303.746.6896. The layout of this Louisville house looks good for a family. You're also in solid Louisville schools. Although the house has some improvements (high efficiency furnace), the interior could use updating. Mid 1990s construction means you should be free of lead paint and Asbestos hazards. The biggest detriment to long term appreciation will be that the house is close to S. Boulder Road. You're going to hear some traffic noise. The seller is expecting a bidding war this weekend and has proclaimed offers will be reviewed on Monday. Although the proximity to S. Boulder Road is a detriment, it could also prove to be a bonus for buyers that want easy access to a grocery store and public transit. Worth a look. These industrial looking condos are in an improving location, but you'll need to bring your long term vision to see that. The live work scenario (60 SQFT of loft space) is attractive for some buyers, plus it's designed to be lock and lave. With these condos, there's a big difference between those that front Broadway and those which have solid views. Be sure you check the comps before writing an offer and note the placement in the complex. . There are some benefits to this North Boulder location. The mix of retail is improving and as a hot spot of development, the location itself will continue to improve over the next few years. Plus, you're on the Skip line with a bus headed downtown every 15 minutes. Due diligence tip: Double check the taxes on this property. According to the seller, it was once taxed at a commercial rate but the assessor has agreed to now tax it as residential property. My plan is to see these homes either Friday afternoon or Saturday morning. There will probably be more listings as the weekend unfolds, so don't wait to call. 303.746.6896. Like this analysis? Subscribe to my research. Would you like to meet me in person? 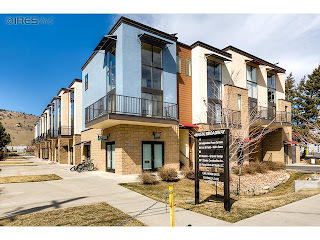 Attend a Boulder Real Estate Meetup. Please note: My goal is to provide exceptional service to our clients. The ideas and strategies in this blog post are the opinion of the writer at the time of publication. Careful and complete due diligence is strongly advised before buying or selling real estate or other investments. Consult with your professional advisers before making financial decisions. This article is not intended as legal, tax, or investment advice.